Where do I use my Links of London voucher code? Click ‘Get Code’ to reveal and copy the Links of London discount code. Follow the link to linksoflondon.com and shop as normal. Once you’ve finished shopping click on ‘Your Bag’. Enter your promotion code in the box just underneath your order summary. You discount will be automatically applied. Click on ‘Checkout’ to finalise your order. "£50 off when you spend £200 or more." "15% off for you and somone else when you refer a friend." Founded in 1990, Links of London specialises in creating jewellery made of the finest materials with imaginative design, and expert craftsmanship so that every piece becomes a timeless contemporary classic. 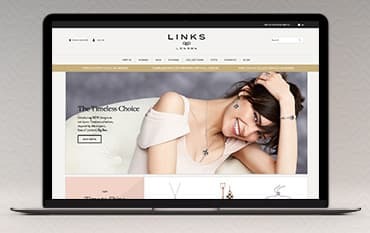 In July 2006, Links of London became a part of the Folli Follie Group, which is a global jewellery, watch and accessory brand and is now becoming an international player in the luxury goods market. In 2007, Links of London launched its very first collection of watches and they are now an integral part of the brand’s offering. If you’re looking for a heartfelt gift for a great friend or loved one, choose a Links of London charm bracelet, alongside one of our voucher codes, and treat your recipient to something special without spending a fortune. A charm bracelet is a great way to show your appreciation for someone close to you; it can be added to each year, symbolising great memories and huge milestones in someone's life. And, because of the great deals, discounts and offers available from Links of London you can gift your charm bracelet for a more than affordable price. Charm bracelets are popular with all age groups, from friendship bracelets you give your best friend when you're a child, to stylish silver charm bracelets you buy a loved one on their 30th birthday- charm bracelets have been fashionable for generations and will continue to be for decades to follow. Not only are charm bracelets trendy, feminine and chic, they’re also extremely personal; they tell a story and are something to be treasured forever. You can choose a few significant charms to get started, then over the years watch the bracelet become crowded with small tokens of love and cute personalised charms. Use your charm bracelet for many different purposes, whether it’s a treat to yourself, a gift for a friend or a sweetie bracelet for your soul mate, the choice is yours. Find great discounted products in the Links of London charms sale and superb deals and offers across the Links of London store. Links of London watches are available in a variety of styles and materials for men and women of all ages and tastes. Discover an alluring range of women’s watches where you’ll find bracelet watches, chronograph watches and classic leather strap watches. You can also find men’s watches at Links of London which take their style and influence from classic eras and motor racing-comprising a range of sport appropriate watches and traditional silver, gold and stainless steel pieces. A watch can last you a lifetime, they’re extremely useful and a great addition to any outfit no matter what the occasion. At Links of London, there are a plethora of watches to choose from. For ladies, there’s everything from trendy rose gold pieces with large faces, to elegant stainless steel watches with delicate faces and dainty straps, to traditional leather strap watches that ooze nothing but simplicity and comfort. 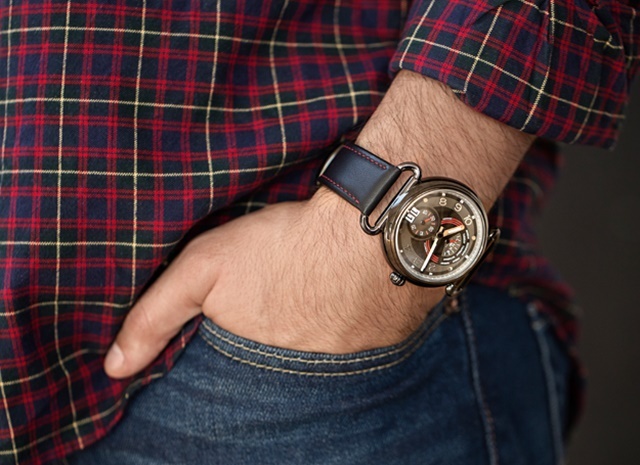 For men, you’ll find the classic chunky chronograph watches, as well as smart speed dial watches and, of course, leather strap watches that compliment any outfit and style. With great promotions and discounts available across the Links of London store you can buy your dream watch for an affordable price. Remember to browse our voucher codes and deals page before you buy to guarantee savings on your purchase. Rings are a great way to add the finishing touches to your outfit without being too flashy and overpowering. At Links of London, you can find rings for women made from gold, silver and white gold, with stones, pearls and diamonds, perfect for big occasions or everyday fashion. There’s also a variety of men’s rings available at Links of London too. Browse the men’s section and find gleaming wedding bands and stylish rings that you can dress up with a matching watch or pair of cufflinks or dress down with some casual cord bracelets. 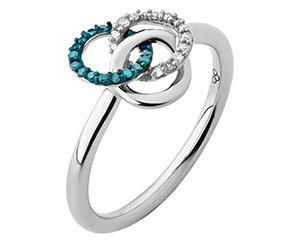 Rings are timeless pieces of jewellery providing the most significant form of style, glamour and love. Links of London rings cater for all styles and occasions where rings fit the cut. There’s a great selection of ladies everyday rings, made with the finest materials, that look cute and stylish while maintaining a high-quality finish. There’s also an expansive array of engagement rings and wedding rings made with stunning diamonds and beautiful stones, as well as plain options that use simple bands and small, intricate details. Find the perfect ring for your partner and save money by applying one of our voucher codes to the checkout at Links of London. You can bring your item to your nearest Links of London store or send your item via an insured method, directly to: Links of London Web Returns, c/o Clipper Logistics, Etheridge Avenue, Brinklow, Milton Keynes, MK10 0BB. If your order hasn't arrived after a week or so contact the Links of London customer care team on +44 (0) 3444770909 who will be more than happy to look into this further for you. If you provide a mobile number at the time of delivery then you will be notified via text of your delivery time frame. You can also track your order by logging into your Links of London account. We are constantly on the hunt for first order Promotion Codes for Links of London to help you with your money saving. Our experts check dozens of sites for secret codes including NHS discounts, student sites & social media channels saving you time & money!